This was the first time I chose a workshop to attend at a National Art Convention. I usually have so many sessions I want to do that I feel I cannot afford the time or the money to do both. 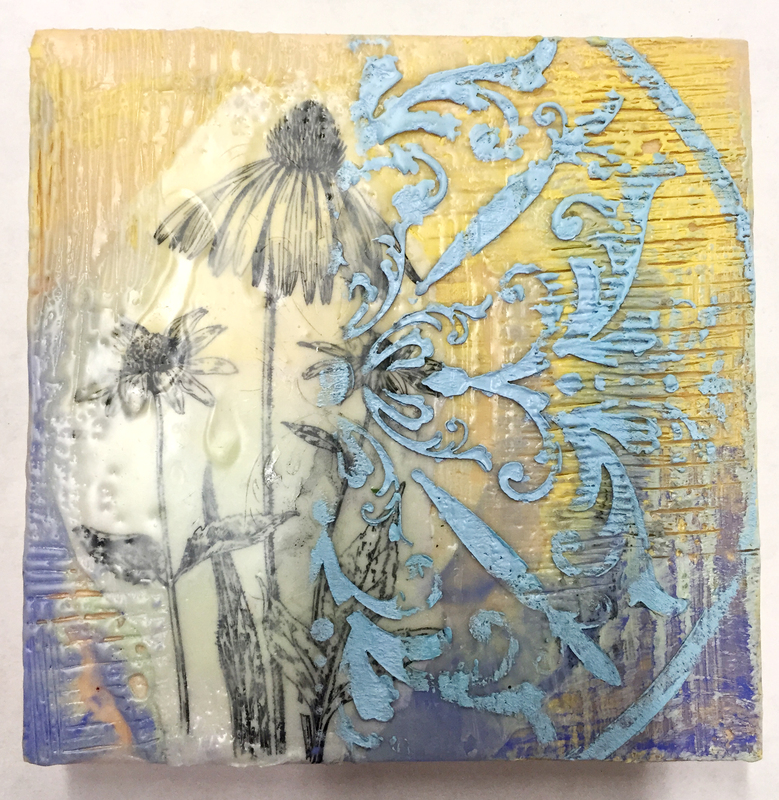 This year I chose to do the Encaustics Workshop and I am so happy I did. 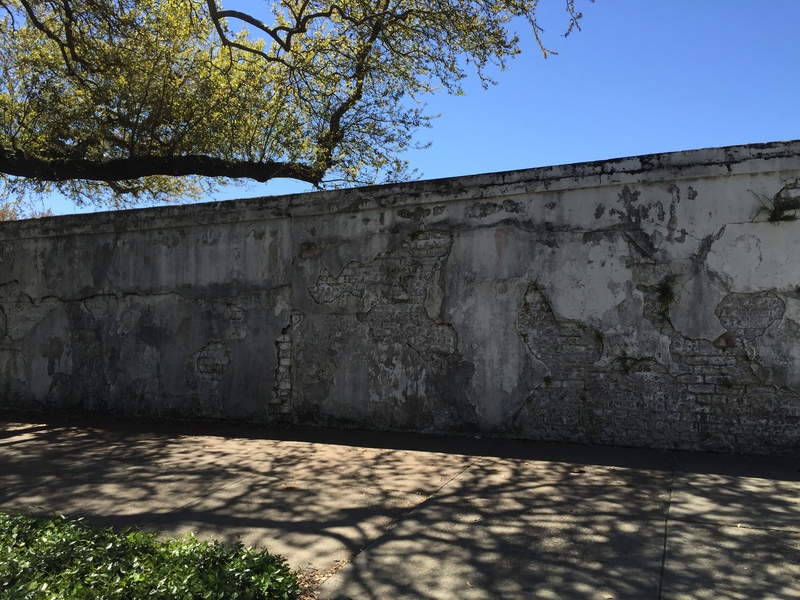 The New Orleans Center for Creative Arts was such an inspirational space and school. Our instructor was very good and helped guide us through the basics of how to manipulate the wax medium on our panels. It was a great way to start the convention process because I learned something new and I was put in the position of being the student. This came in handy during later sessions on theory and practice of teaching. I will be purchasing all the equipment and materials to do more of this in my home studio. I really liked the process but I do need to explore it more on my own. I am not sure I would teach it in my school studio due to material costs. Plus- I would need proper ventilation and more studio space dedicated to just the equipment for this process. I don’t have the space to dedicate at school but maybe one day. When I get better at this maybe I would give private lessons, it is always a possibility. 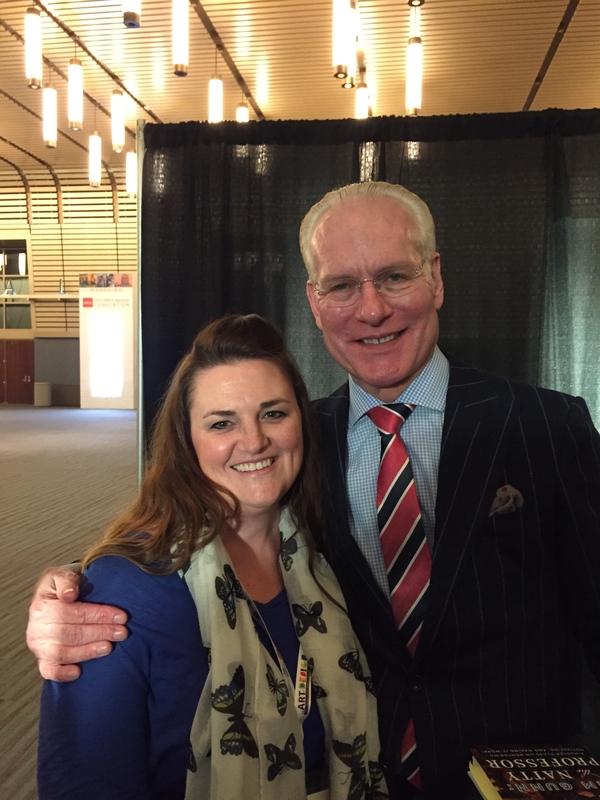 Tim Gunn was a great inspiration for our convention and I was able to meet him and get his book signed. I am not usually one to get too giddy about many individuals so I wasn’t planning on standing in line for an autograph. But I knew my students would have killed me if I did not take advantage of the opportunity. So I did. I have been working on a recycled runway show for three years and I do work with Korto Momolu on getting the show launched in Arkansas so the degrees of separation was pretty small. I think Korto was thinking I was a little silly getting his autograph but I did it anyways. I was among the last of maybe 20 teachers who stood in line for 2.5 hours but Tim could not have been anymore charming, personal, and kind. He has never forgotten where he started and the value of teachers. He still is a teacher and really wanted to take the time to validate our passion and importance of our field in children’s lives. I appreciate his words and I am looking forward to reading his book. I will share my book at school so my students can see it but I will place it on my bookshelf at home. I was very deliberate in my choices this year to prepare for my transition to a TAB classroom. I also have plans to acquire a 3-D printer and maybe a laser cutter, so I wanted to learn more about this in an art studio setting. You know how it goes “best laid plans get interrupted by life”…yes, I did not plan on all the other opportunities that kept falling out in front of me. The National Art Convention is something so many of us get so excited about attending and someone like me, who is very focused, was feeling pulled to try to get so much out of my experiences. I didn’t get to some of my sessions I planned on attending but I did get to see and do more than I planned. I did get to meet and listen to a wonderful and inspirational session on Chinese Calligraphy given by Kevin Hsieh, PhD. he is an Associate Professor at Georgia State University. I was so excited to learn more about this topic because I do have a growing population of International students and I want to add it to my mix of lessons. Everyone was really enjoying the session and our time ran out. He never was able to finish what he started so I was left with wanting to know more. I do hope to get the rest of his PowerPoint and maybe see if we can get him to come to our school for a workshop. Great speaker and he seem to be a wonderful instructor. My last few sessions focused on AP Art Portfolio development and this is where I was struck with some of the conflicting ideas and methods. I have listened to these particular speakers before but this time with a different frame of mind. The AP Art portfolios are really focused on demonstrating the Elements and Principles of Design. I get that, but I feel the exam is lacking some of the things, I feel are valuable too. We all sat and watched slide after slide of works that are very good. I can achieve that quality with a few of my students too but not all. I found difficulty when it came to the reliance of formulaic methods to produce a series for the Concentration part of the AP portfolio. I saw a series that was produced simply by using a photography app./ 12 pieces that were produced and submitted. I understand the student selects the image to use and to apply the photo app. but it just seems too easy. I believe more thought and execution needs to be applied but maybe I am wrong. Even the presenter stated, “It’s not brain surgery”. I need to really mull over what I heard and how I feel, to fully have a formed idea to change how I do things. I then read a series of comments on our art teacher Facebook page on similar thoughts that I have been wrestling with in my head. # 5. I Kill Creativity when I Show an Example instead of Defining a Problem. I like to show the Art History, the Fine Art Exemplar, and/or the Multicultural Examples at the end of the lesson. This allows us to use what we learn during the media work experience as frame of reference for the example. However, when not showing examples prior to media work, I must provide a better problem definition, more chances to practice the technique, and be particularly alert to students who may be floundering at the beginning of a problem because they are not accustomed to doing their own thinking. Sometimes we repeat the practice several times until everybody understands how to practice a new skill that helps them be creative. 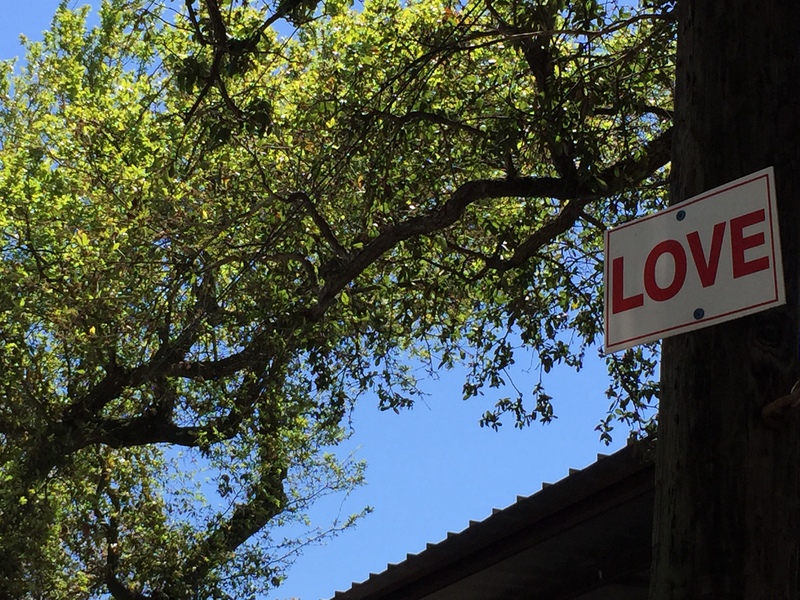 As I notice misunderstandings, I begin to understand how to communicate better. When not showing an example, I must give students time for their subconscious mind to operate. This might mean that we discuss assignment issues and conduct practice sessions on one day and come back to the same problem on another day. Many students forget what is learned, so I ask questions to let them know that it is good to remember what is learned so it can be used again next time. Reviewing some of the practice is seldom a waste of time. Often, if students are not accustomed to listening carefully, they feel lost if I do not show them what it is supposed to look like. In these cases, I repeat the problem definition using different words, or I ask if they would like to make some sketches of what they think might work and/or if they like to make written lists of ideas to pick from. Without an example, I may need to begin at an easier place in the process, or with only a portion of the process. Some are not accustomed to sketching and thumbnailing. They are not used to the idea that they are permitted to originate ideas from their own lives, experiences, and concerns. Other teachers may not ask this of them. When I do not show them the answers, they may need practice in learning how creative people develop ideas for their work. It helps if I start asking about things several weeks in advance. A future challenge can be presented long before the actual production so the subconscious mind focuses on it. Creative people generally have several projects going on simultaneously at different stages of development. Creative minds, once focused, continue to work for us while we sleep, go for a walk, or while relaxing. If I fail to give advance notice, I cannot expect them to be as creative. While “image flooding” (showing many examples) may be inspirational, it can also be intimidating and very suggestive. It can be argued that “image flooding” creates slicker work, but less creative thinking skills. It may win the scholastic awards, but it teaches us to go through life in other people’s skins. We never learn the ecstasy of achieving success based on original ideas. Also see #10 below and #1 above. I know I will be thinking about this for sometime. It is great to have your teaching philosophy challenged and I am so glad I do have a strong on-line Professional Learning Network. I only wish we had taken more time to look each other in the face and acknowledge each other more. I felt really rushed around and always looking at the Convention App. I would have liked more time to sit in circles not in chairs facing a podium and a screen. I feel we did exactly what we are preaching not to do to our students. I found it kind of ironic. So I guess my take away is…. the National Art Convention could be longer and happen more frequently. We need to put our devices down and look at each other and talk. I have more to research to apply, try and fail, and to keep connecting with wonderful art educators that challenge and push me to achieve more. Great take aways! Thanks for sharing your perspective. You are very welcome. I enjoyed meeting you. Keep in touch. I want to know the end of your adventure too. Yes- he was great. Hoping he can be a speaker at our school. Lucky you to have him as a prof.